Ecommerce solutions for Intec Microsystems resellers, VARs and MSPs, and a compare the market service to find stock in distribution. 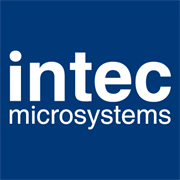 Intec Microsystems are a leading Independent Distributor who specialise in the global distribution of branded IT Hardware and IT Services. Our core business centres on the supply of discounted IT Hardware products from key manufacturers; Prolabs, HP, Cisco, IBM, Lenovo, Fujitsu, Juniper and APC. Intec Microsystems are also an official Pan European distributor for Prolabs, a leading, global manufacturer of compatible networking and connectivity products. We supply Prolabs extensive range of copper & optical transceivers, dacs, aocs, media converters and fibre cabling throughout the UK and Europe. We aim to be a single point of contact for IT resellers providing you with access to a massive range of IT Hardware products such as Servers and Storage, Desktops and Laptops, Printers, Networking hardware and Uninterrupted Power Supplies. With offices in the UK, Germany, Holland, France, Italy and Spain we are confident that we can offer a high level of customer service and significant savings on IT Hardware and services from experienced and multi lingual sales consultants.